Do you wish you had a nice photo of yourself? 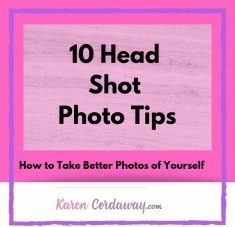 Before you are able to get a good head shot, you must first learn how. You can’t FAKE a good photo. Whether you need it for professional reasons or you would just like to take a decent holiday shot, you have to learn some INSIDE secrets. How. . you may ask? A few simple but POWERFUL tips can make your photos look like a REAL photographer took them. Professional photographer, Peter Hurley who is well known for his head shot photography was self-taught. If you’re looking to get a decent shot of yourself without paying a professional, consider watching this video to teach yourself. I took photography classes in high school. I worked at a photo store and took photographs for my college’s campus newspaper. I put together some tips I learned along the way. Here’s how to shoot like a pro in a matter of days(minutes). 1. Not focusing on the jaw line. Do you know of any “red flags” of photography?